Service that enhances duty free shop "Plaza Bali" shopping, Bali esthetics, Bali cultural experience, restaurant, and free meeting and sending off, etc. 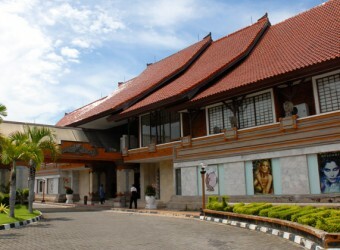 Tax-free goods such as cosmetics, foreign drinks, and cigarettes and handicraft goods of Bali are abundant. It collects, and is convenient to stop on the final day near the airport.